RDF Site Summary or RSS feed is a type of web syndication. A web syndication is a format that is used to allow a site to expose it's content in a simplier and formatted way for other sites to be able to read it easily instead of directly processing an HTML page. It is also commonly used to make a human users be able to easily check new contents without actually visiting the website. Because of this most websites have a button for its RSS feeds and some even have separates feeds for every categories. These buttons are easily distinguishable by an orange background of a dot in the bottom left side of the button with a wave coming out of it and going to the upper right side. Popularity of RSS feeds usage can be also observed by the support of web browser for it. Some web browser have a built in RSS client like Firefox others have it as a plugin like in Google Chrome. Like other things in technology there have been several attempts on creating a web syndication before RSS came. One of the quite known formats was created in Apple called Meta Content Framework which was developed by Ramanathan V. Guha and others in Apple Computer's Advanced Technology Group. The first version of RDF Site Summary was developed at Netscape by Dan Libby and Ramanathan V. Guha. The first version of RSS released was 0.9. After it's release on March 1999 it was used on my.netscape.com portal. 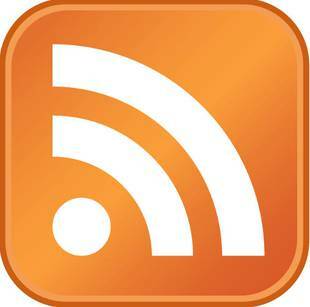 Later that year on July 1999 Dan Libby released a new version RSS 0.91. This version have a lot of enhancement. RDF elements was removed which lead to its simplier format. It also have incorporated some elements from news syndication of Dave Winers. He also changed the name from RDF Site Summary into Rich Site Summary. In September of 2004 the icon or logo of RSS as you now know it has been added in Mozilla FireFox and was created by Stephen Horlander. A year later in December of 2005 both Microsofts team Internet Explorer and Outlook have announced that they will now adopt the icon used by Mozilla FireFox for RSS. Followed by Opera after 2 months on February 2006. These have triggered the wave of usage of the Mozilla FireFox RSS icon. Several years later since the first version of RSS was released. Its popularity and usage have grown so much that almost every website now has one. Specially websites that are in the blog and news category. There is now also a new web syndication called Atom. Not yet as popular as RSS but it is slowly getting more attention. Some website have also now support for Atom web syndication.